Support the Sparhawk School PTO and enjoy discounts from 180+ Greater Newburyport businesses. 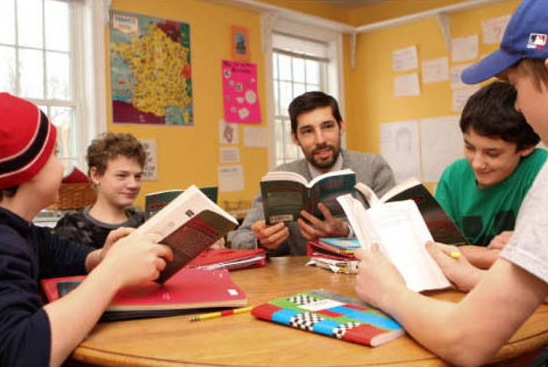 The Sparhawk School in Amesbury, Massachusetts is a premiere, progressive day and boarding school that values the intellectual vitality and joy of each student above all else. Students are taught to respect themselves and be courageous as they seek the answers needed to solve problems, all while understanding their abilities and differences so they may achieve success in other areas. Through the combination of education and culture, Sparhawk’s teachers measure a child’s success through wisdom and self-confidence as much as they do knowledge and skills, believing each learning experience evolves with opportunities. In an article written about several Sparhawk students we learn that the Sparhawk School is a place where everyone can be themselves. Centered around people who care, students are encouraged to think with open minds and hearts, bonding together as supporters and friends, while always practicing patience with another’s growth. Many of the students believe this is achieved successfully through strong communication. As an example, each Monday staff and students meet to share thoughts. Anything can be discussed, from congratulating a classmate, to addressing a concern. Congratulations are honored with pride, whereas concerns are met with strategies towards resolution. 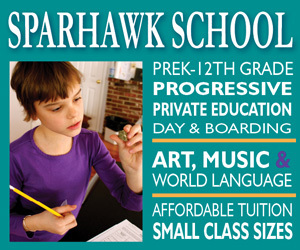 Both the upper and lower schools are located on acres upon acres of property, ideal for enhancing Sparhawk’s rich art and academic curriculums. Purchase one VIP Card for $25 or two for $40 on the order form below and $10 of your order will be automatically donated to Sparhawk School.